On any given night in Western Australia, around 9,000 people are homeless. Many will be sleeping rough; others will be in their cars or relying on the goodwill of family and friends for a couch or spare bed. For others, the place they sleep will come at a high price, or will not be safe. A group of committed Western Australian community leaders, executives, and CEOs are coming together to say, enough! 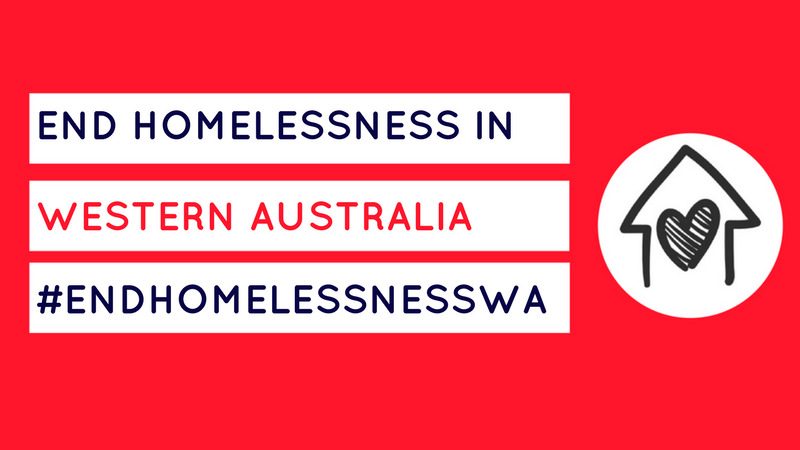 #EndHomelessnessWA is a coordinated and collaborative commitment to end homelessness. This needs the whole community to drive it forward. You can be involved in making a change. On Friday 13 April join the strategy launch. Sign the petition - register your support, and stay updated on the campaign. Attend the 'Love Never Failed Us Yet' event - show your support for the campaign and commitment to making a real change to ending homelessness. Follow the campaign - spread the word, find out more about #EndHomelessnessWA alliance, attend further events, and be part of achievable change. Synergy is giving six registered charities, not-for-profit organisations, or community groups, the opportunity to receive a SolarReturn solar system. The first 100 eligible organisations that apply will receive a free energy audit and report. If you know an organisation that is making a difference, encourage them to nominate today. Nominations close Monday 23 April 2018. The Department of Communities intends to offer a 12 month extension for all current Homelessness contracts to 30 June 2019. During this extension period, the Department intends to co-design a new Homelessness Strategy with the sector, which will determine the future strategic direction and procurement strategy for services currently funded through NAHA and NPAH. Future extensions to existing contracts may be required in order to implement the future procurement strategy. Formal variation paperwork will be forwarded to current providers, offering variations to existing contracts to 30 June 2019. Proposal submissions to develop an Aboriginal and Torres Strait youth healing framework that will assist the Healing Foundation to continue to document the story of healing in Australia, are invited by the Aboriginal and Torres Strait Islander Healing Foundation. Development of the framework will support the Healing Foundation in building the understanding nationally on how to support quality healing work for young people across governments and community organisations. Consultation will begin next week for the Shire of East Pilbara's first Age and Dementia Friendly Strategy. The Shire is seeking the participation of older people, and organisations that work with older people in the consultations. If you know anyone who can provide input for this strategy, feel free to pass this information on. Consultations can be arranged over the phone if stakeholders aren't available for any of the public meetings. Community services organisations have a chance to deliver the new Thrive program in partnership with the Department of Communities. Thrive builds on successes of the Housing Authority’s previous Support and Tenant Education Program (STEP), with a stronger focus on early intervention. Thrive has been developed through extensive consultation with stakeholders, and takes a more holistic approach to improve clients’ individual social and economic wellbeing. Briefing sessions will be held across WA to provide more information. Read the tender documents here. Communicare is introducing Children’s Contact Service (CCS) from 30 April 2018, out of their Cannington office. The fee-for-service program is designed to help separated families experiencing conflict or difficulties with parenting arrangements. The CCS will provide a comprehensive intake, screening and assessment process, on site child orientation, facilitated changeovers, supervised and supported contact visits.For more information email Rhian Roberts, Coordinator, CCS@communicare.org.au. Hand to Heart is a free community program connecting older people in the Melville region to local services, activities and groups. The program is a collaborative project between the Cities of Melville and Belmont, ConnectGroups, and Befriend, in response to data indicating an increasing number of older people living alone. The McCusker Centre for Citizenship collaborates with students and the broader UWA community, not for profit organisations, government, and business to make a difference through structured, quality internships, events, and exchange opportunities. Student interns come from across all faculties, and are matched based on their application and opportunities available. A health promotion campaign to increase community awareness of early symptoms of the five most common cancers has been launched by the Cancer Council of WA. The ad encourages people to visit their doctor, Aboriginal Health Worker, or clinic nurse if they notice any changes in their body. The five most common cancers are bowel, breast, lung, prostate, and skin cancer. More at www.findcancerearly.com.au.